Yes, the food you put in your dog’s bowl matters. But so does the bowl you use. Some breeds tend to overeat, while nearly all breeds make quite a mess while they eat and drink. Depending on your dog’s size and eating habits, one dog dish may help it eat more comfortably and safely. We’ve reviewed various dog dishes to help you find the best fit for your pup. Does she eat too fast? Does she make a huge mess? Our reviews include the best dog water bowl, food bowl, slow feed dog bowl reviews and small and large dog bowls. Are you away from home when your dog needs feeding? This automatic pet feeder is the solution for you to feed your dog while you’re away. You can schedule up to 12 meals a day with this feeder, although your pup probably doesn’t need to eat 12 times a day! The portion can range from 1/8 cup for 4 cups. There is also a Slow Feed Mode that dispenses meals larger than 1/8 cup over a 15 minute period to keep your pup from eating too fast. See the Slow Feed Mode in action with Rocco testing it in the video below. This dog water dispenser has a gravity feed design to dispense the water for your pet without spilling or overflowing the dish. 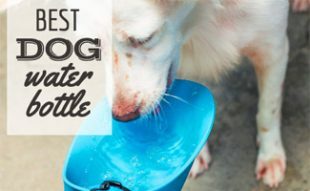 This dog water bowl is inexpensive, and it performs well which is why it’s our pick for best automatic dog water bowl. Bonus – it was designed in the USA. The only downside we found is that it can be difficult to clean. This collapsible dog bowl can hold food or water on the go. The bowl is made of silicone, which makes it easy to wipe the bowl clean after use. The bowl is ideal for you if you need to give your pup food or water on the go. Since it’s collapsible, it takes up less space for travel.Attached is a carabiner for you to hook the bowl onto a bag, your belt or something else. Raised dog food bowls and dog bowl stands save not only your dog’s neck but also your back. If your dog has a dog food bowl stand, neither of you have to bend over as far to reach the container. Your canine will love having its food closer to its height, and you can refill the stainless steel containers easily. The only con we could find is that the stand isn’t the most sturdy. However, most reviews we read from customers stated the raised dog bowls were still worth the additional cost. If your pup is outside during the winters, this is the pet water dispenser for you. This bowl keeps water from freezing, even at -20°F. 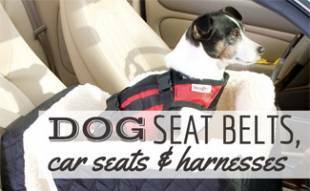 The 5’6″ electrical cord is chew resistant for your pet’s safety. The Thermal Bowl is energy efficient, using only 25 watts of energy. This is the ideal heated dog bowl for pets who spend a lot of time outside. 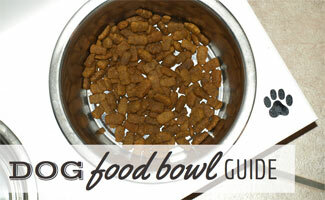 Does your dog’s food bowl move all over the house when they are eating? Sounds like they needs a mat to keep her bowl in place. This dog bowl mat is made out of silicone and is easy to clean. The mat has anti-slip bumps on both the top and bottom side to keep it and the bowls from sliding. 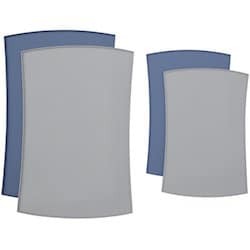 It also has a raised outer lip to prevent food and water from spilling off the mat and is the best pet food mat. The non-straight edge shape leaves a gap against the wall which may leave some spills behind the mat. It never fails, every time your dog goes over to their food and water and makes a mess everywhere. That’s why you’re looking for a spill proof dog bowl. This no spill dog bowl is top shelf dishwasher safe. Each stainless steel bowl holds 1.5 cups of food or water. Now after you clean your floors, you won’t have to worry about your dog making a mess. Does your dog inhale its food before you’re even finished pouring it? Slow them eating down with this slow feed dog bowl. This slow eating dog bowl is designed like a maze for your dog’s food. Not only do these bowls slow your dog down, but they also prevent him or her from bloating, regurgitating and overeating. This dish holds up to four cups of dog food and is the best slow feed dog bowl. If you’d like to personalize your dog’s food bowl with his or her name on it or some other element, check out this 3D printed dog bowl that can be completely customized for your pet. 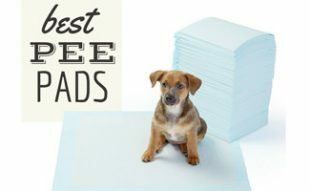 Consider your options and make a list of what your dog’s needs are to choose from the best dog food bowls. Does he or she need something to help keep the dish in place? Are they outside and need water to keep from turning to ice? Ask yourself these questions and more. 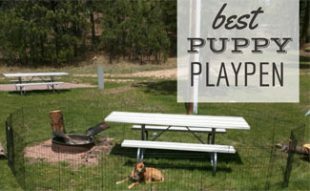 While on the hunt for the best dog food bowl, we suggest you reevaluate the food you’re feeding your dog. All natural, grain free, holistic, raw diets and dog food from big name companies like Taste of the Wild and Blue Buffalo are all options you’ll want to consider. Keep in mind that if you do choose to change your dog’s food something new, that you’ll want to transition food slowly to ensure your dog doesn’t get sick. What are your dog’s eating habits? For a no spill dog dish option, we LOVE the Neater Feeder Express! The dish is elevated for our large dog, and the water drips through the holes to a bottom catch-basin, and side walls prevent splashing onto the floor and walls. The food also stays contained when knocked out of the bowl. And the entire thing can go in the dishwasher. They say it is compatible with a slow feeder and polar bowl, but we don’t have a need for that. We went from cleaning up mess around the dog bowls 3-4 times per day to just sweeping and washing in the dishwasher every 2-3 days. It’s pretty fabulous!